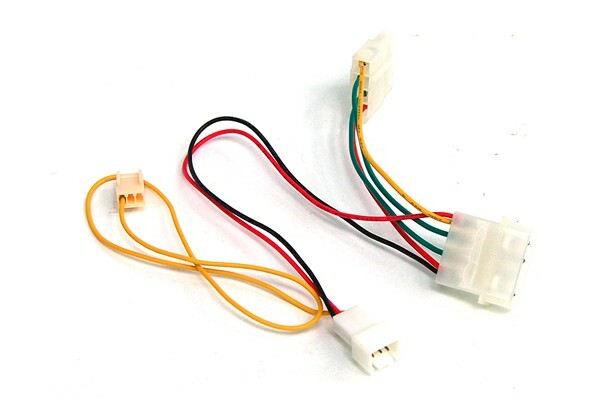 For connection of a fan with 3Pin Molex plug (CPU cooler, case fan etc.) directly to the PSU. This adaptor allows the operation of a fan at 7V instead of 12V which reduces the noise level of the fan. The great advantage of this adaptor is the rpm monitoring possibility via the rpm cable. Please note that a reduction of fan speed also leads to a reduction of Airflow and therefore possibly cooling performance.